Gluten free and low carb Cilantro and Lime Chicken marinated and seasoned with herbs and spices then pan seared for a nice crust served on top of low carb healthy Cauliflower Rice. Easy prep healthy dinner perfect for busy days. I am not a Gluten free convert and I am not trying to covert you to go Gluten free. But one thing I know, I like trying new things, I like trying new food, I like trying new way of making food, I like to encourage myself to eat healthier and I LOVE food, don’t we all? So, Gluten Free, what the deal with that and why do people go for it? Gluten free diet excludes gluten which is found in wheat related grains, like barley, rye, oat, and all their species and hybrids. So doing a gluten free diet means consuming food without gluten in anything. It may sound easy, but it’s not. Although there are quite a lot of food substitute now a days, going for a Gluten free diet is a challenge, but I believe that things gets better that once you get used to it. Gluten free diet ism ore than just going with the flow, a lot of people actually do it for health reasons. Gluten can cause health problem with people with gluten-related disorders, as such they have to adapt to this kind of diet. I would say don’t just go gluten free just to go with the flow. Do your research as gluten-free replacement products may lead to nutritional deficiencies if not used properly. What’s great about this dish? I always get excited when I make dishes to share in my blog, but this Cilantro and Lime Chicken with Cauliflower Fried Rice really made me bouncing with excitement. I just cannot wait to share this with you guys. This dish is incredibly flavorful, fresh and delicious. The taste of the chicken was so good I can literally taste the fresh flavor of lime and Cilantro in every bite, and the spice, so good! The nice kick of heat worked well with the fresh citrus flavor of lime and the freshness of Cilantro. It’s really packed with all good flavor, and all this made at home in just 30 minutes. 30 minutes for a delicious healthy dinner like this, I can’t complain at all. You can make your own riced Cauliflower but you will need to have a food processor or food chopper. The Cauliflower need to be processed or chopped into a very fine pieces, even finer than regular rice grain. Think of it as like Couscous in texture and size. The size of riced Cauliflower matters when making Cauliflower Rice, it really needs to be fine. If you don’t have any of these two kitchen tools, you can buy a riced Cauliflower. They have that in fresh produce salad section and they normally come in small and big bags. This also saves you time which makes this meal even easier to prepare. Cauliflower rice can be made plain, just a sprinkle of salt and pepper to taste. But in my world, I like it flavorful so I added chopped fresh Cilantro and freshly squeeze Lime juice. The Lime juice makes a lot of difference. I’ve tried it without it and tasted like its missing something, then when k added it, it tasted better and really nice. Ok, this post is all about Cilantro and Lime, the chicken and cauliflower rice. Lime has a stronger citrus taste compared with lemon and I think it worked well for the chicken, but if you prefer a milder one you can has Lemon instead. For the herbs and spices, if you don’t have fresh Cilantro, you can use dried herbs like Oregano and Thyme to marinate the chicken. Or use Italian seasoning if you like combination of different herbs. Aside from allocating few hours for the chicken to marinate, how you cook the chicken is second most important thing. Sear the chicken properly to get the nice brown crust but don’t over cook it to retain the juice and moisture of the chicken. Once you have the chicken done, serve it with Cauliflower Fried Rice and garnish it with leftover Cilantro and few slices of fresh Lime. Prepare the Chicken: Slice the chicken horizontally ((like a butterfly cut) to make it a little bit thinner. Marinate the Chicken: In a bowl, mix olive oil, lime juice, cilantro, Italian seasoning, salt and pepper. Add the chicken and coat the chicken with the marinade. Chill in the refrigerator at least 1 hour, overnight recommended for better flavor. Sear the Chicken: In a heated pan, add olive oil and chicken. Cook for about 5 minutes without touching it, then turn it to cook the other side for another 5 minutes or until the chicken is cook through. The time could vary depending on the size and thickness of the chicken you are cooking. Adjust cooking time as needed. Remove chicken from the pan and set aside while you make the Cauliflower Fried Rice. Make the Cauliflower Fried Rice: Using the same pan, add onion and garlic and sautee until onion is no longer translucent. Add fresh red chili pepper, red chili flakes, salt and cayenne pepper. Cook for 1 minute then add riced Cauliflower. Mix and cook for another 3 minutes then mix again and cook for another 3 minutes. Add cilantro and lime juice, mix, taste and adjust seasoning as desired. Serve: Transfer Cauliflower Rice in a plate and serve with the Cilantro Lime Chicken. Garnish with chopped Cilantro and some Lime wedges on the side. Nutritional Information was calculated using Veryfitwell Recipe Calorie and Nutrition Calculator. 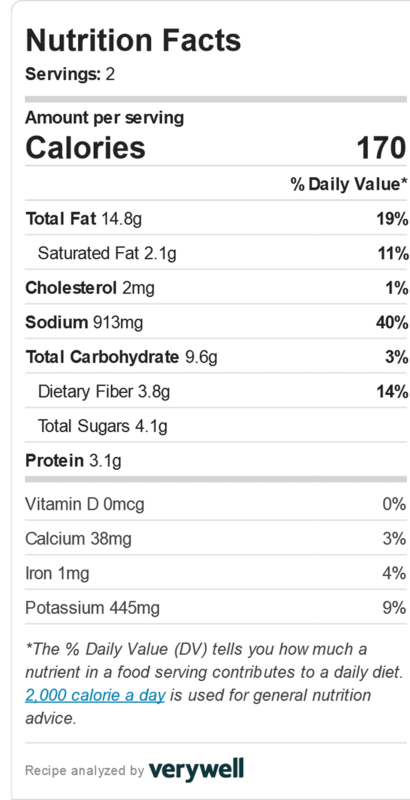 For details about Nutritional Information in this website, please read the utrition Disclaimer page. This looks great. Cauliflower rice is my go to carb replacement. In fact I had it for dinner tonight. I’ve got to try this. Thanks! I’ve been loving this Cauliflower Fried “Rice” as carb replacement 😉 Let me know how it goes when you try it.